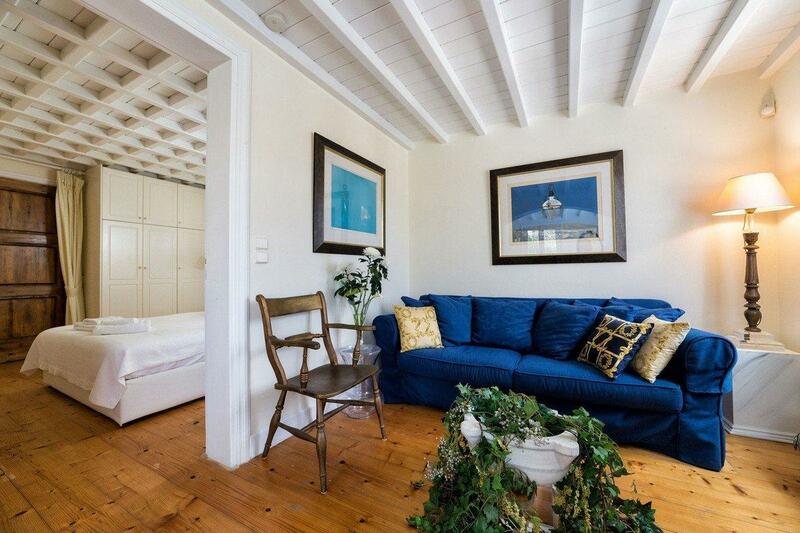 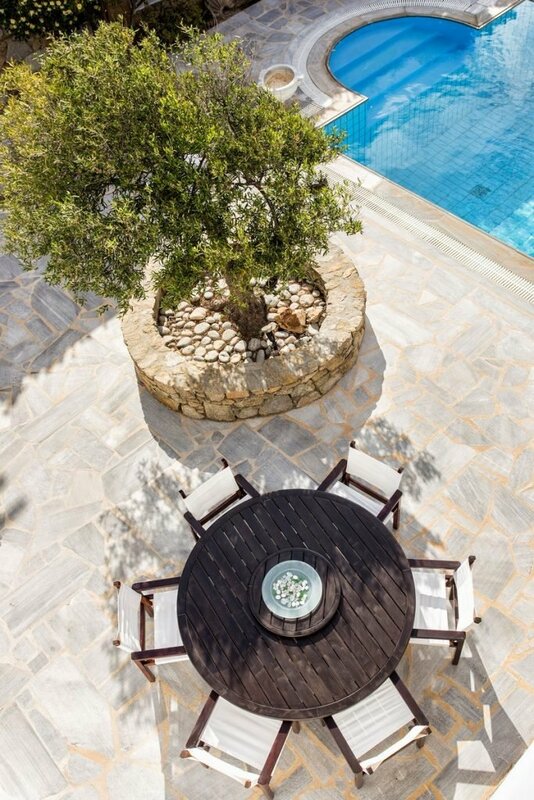 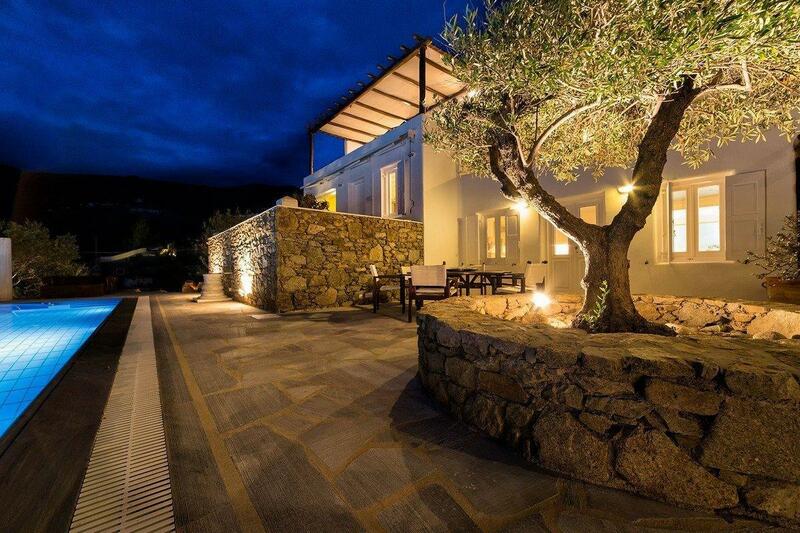 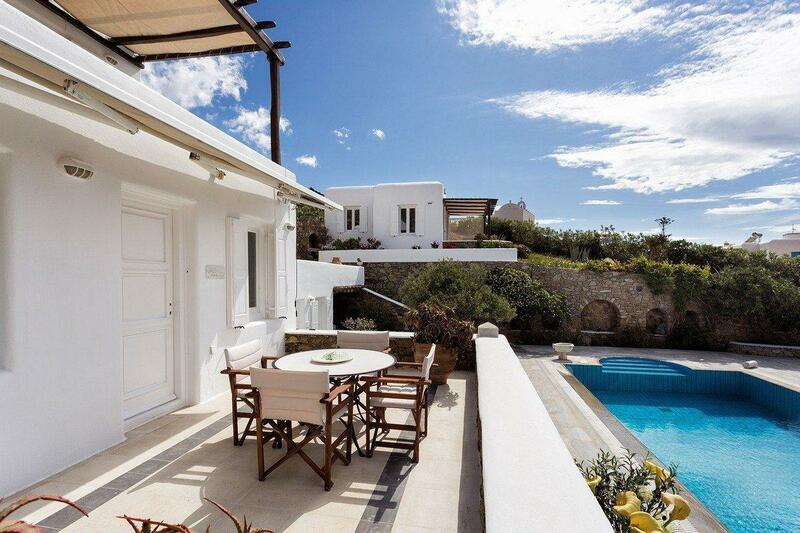 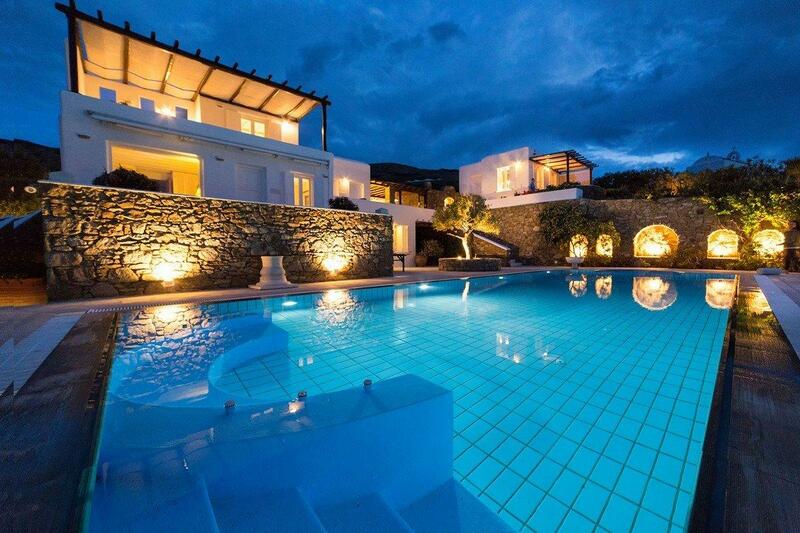 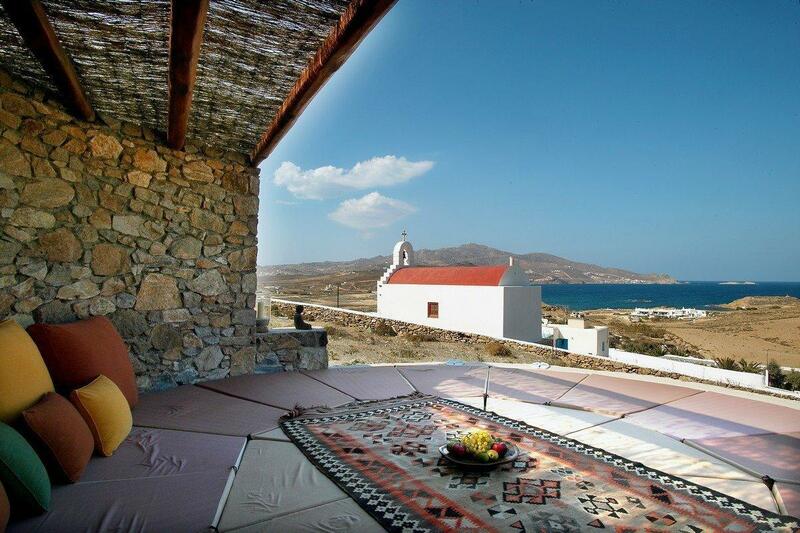 Villa Galactica is located on Mykonos, Greece, on 1.3 acres of land, facing the Aegean Sea. 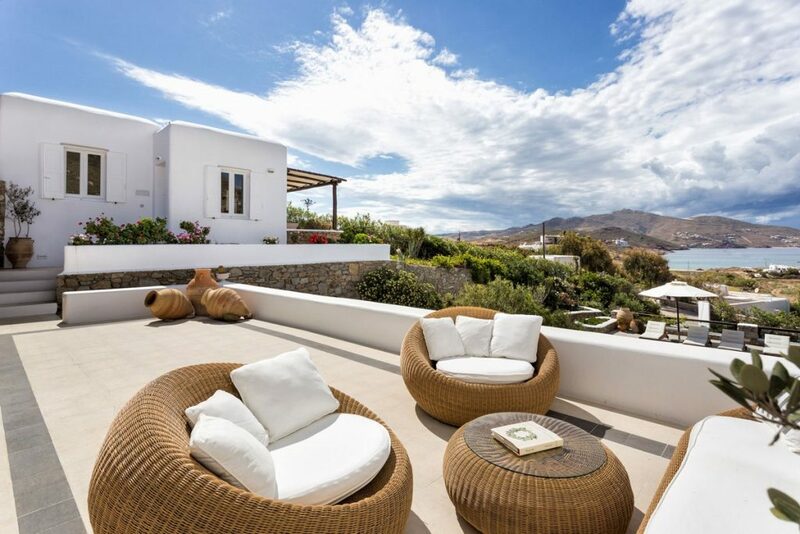 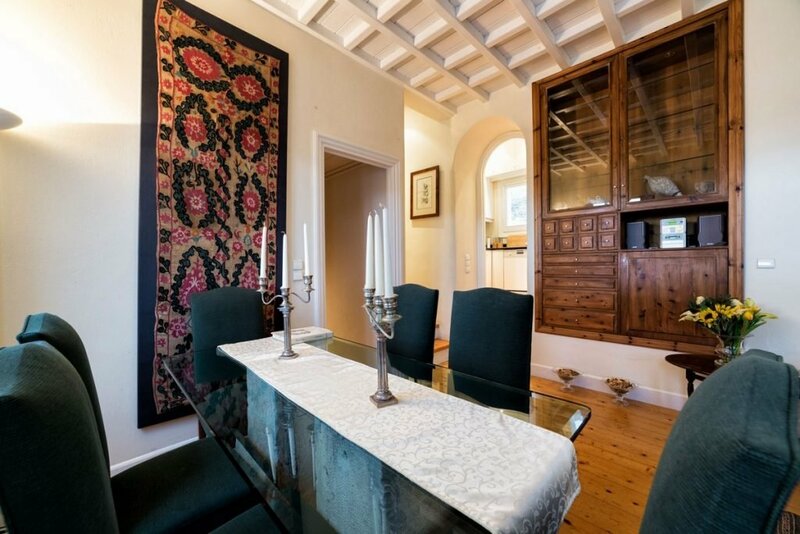 This stunning, exclusive property imbues guests with positive energy and tranquility, since it was built according to Feng Shui principles in a great location. Beautifully landscaped grounds surround the property. 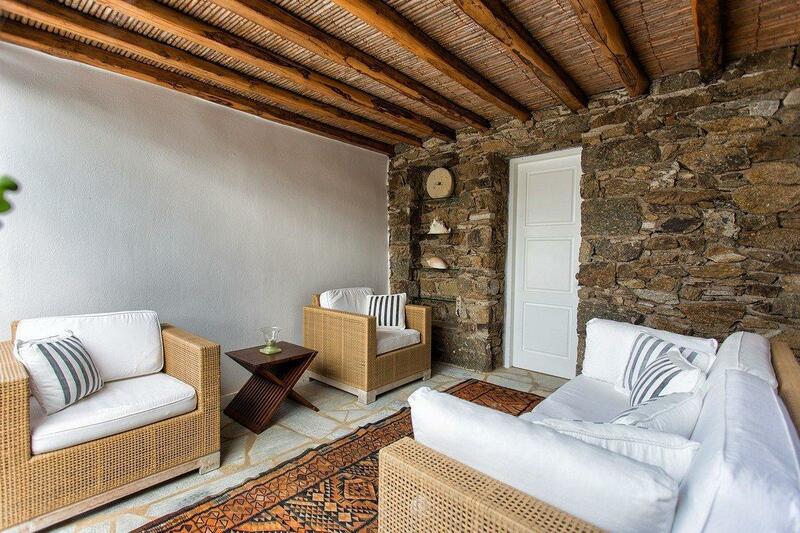 If guests do wish to leave the comfort of Villa Galactica, the cosmopolitan town of Mykonos is only a 7 min drive while Ftelia Beach is within walking distance. 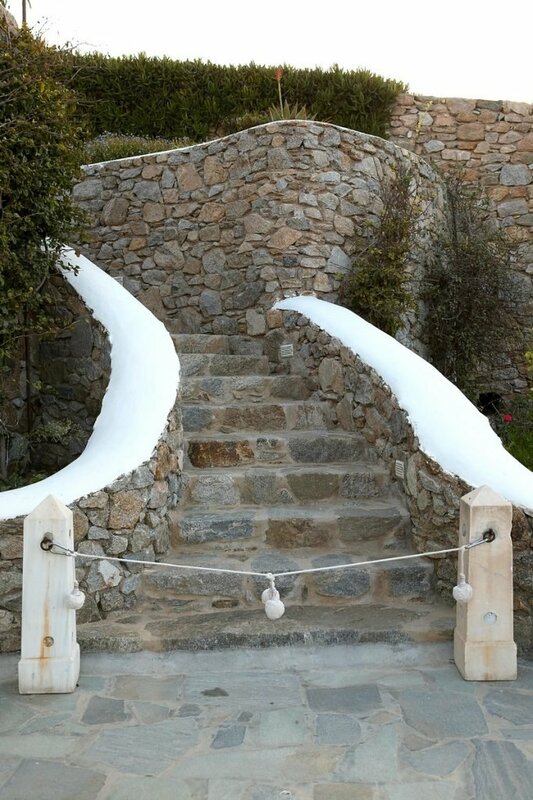 The Galactica is infused with a myriad of wonderful amenities and features; a large private swimming pool with water-jets, a BBQ, a traditional firewood oven, a natural Biodynamic garden of herbs and spices, reception and office for guest use, gym equipment, a Yoga Platform, cordless telephones if needed, a DVD and fabulous in-house movie collection, including Hollywood golden and contemporary films. 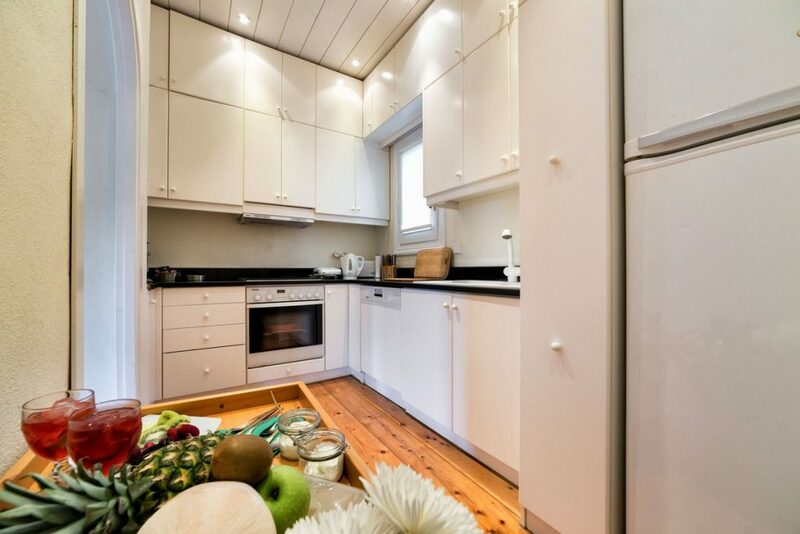 Aside from kitchenettes, which can be found in each of the four suites, there is also a main kitchen as well as an outdoor one. 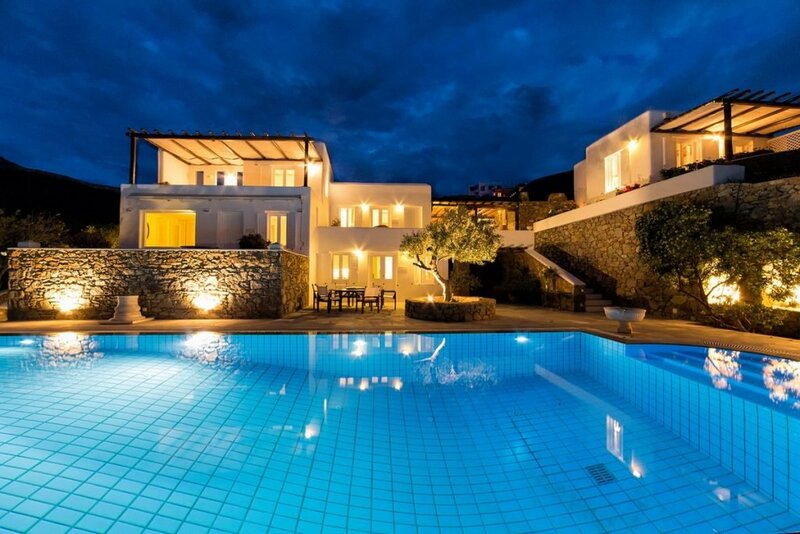 Villa Galactica is a very secure property; its improved safety and security measures, in accordance to EU safety rules, ensure a relaxed and carefree stay. 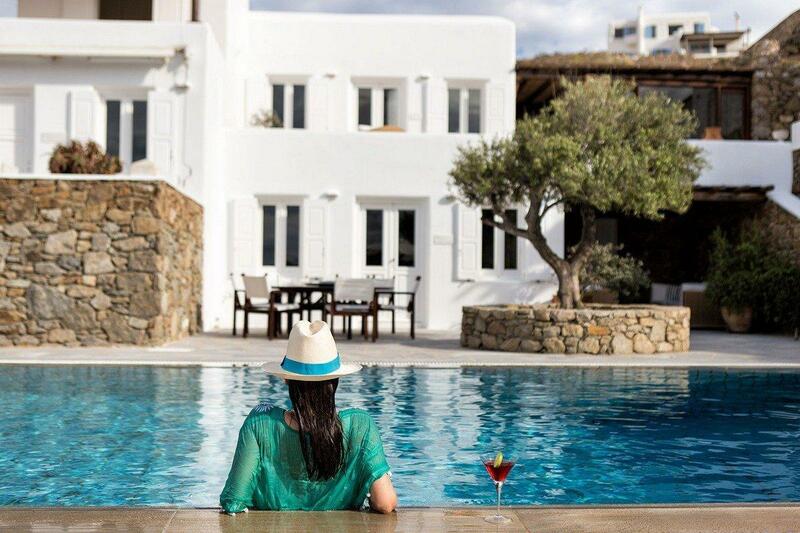 Helicopter charters, yacht and jet charters can be arranged as well. Another special experience though that the Galactica offers is the Mykonos Wine tour. 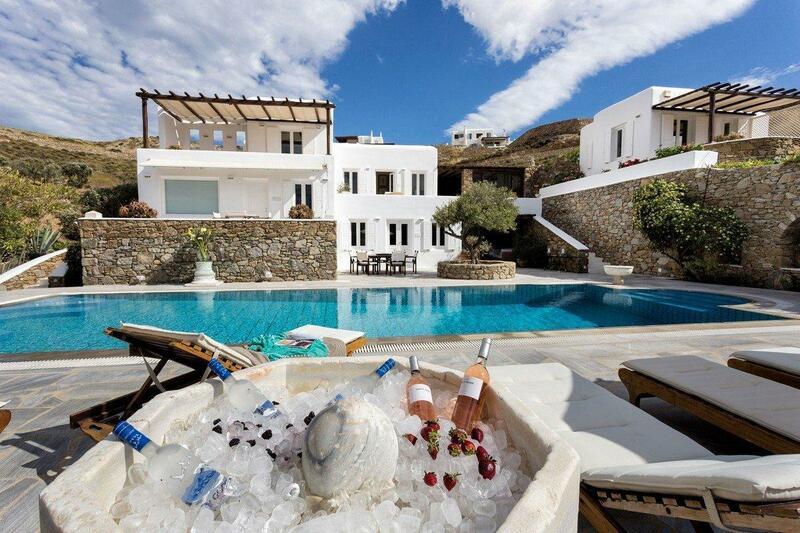 Villa Galactica has four separate air conditioned & heated luxury suites built in Cycladic style; each with its own identity. Each suite features direct dial telephone if needed, safety deposit boxes, hairdryers, satellite television and CD/DVD players. 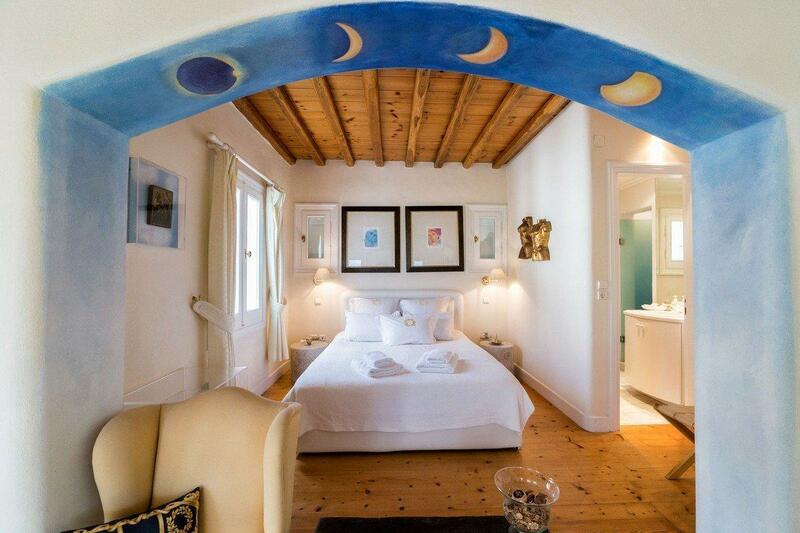 The House of the Moon consists of a bedroom with a King size bed and a marble bathroom. 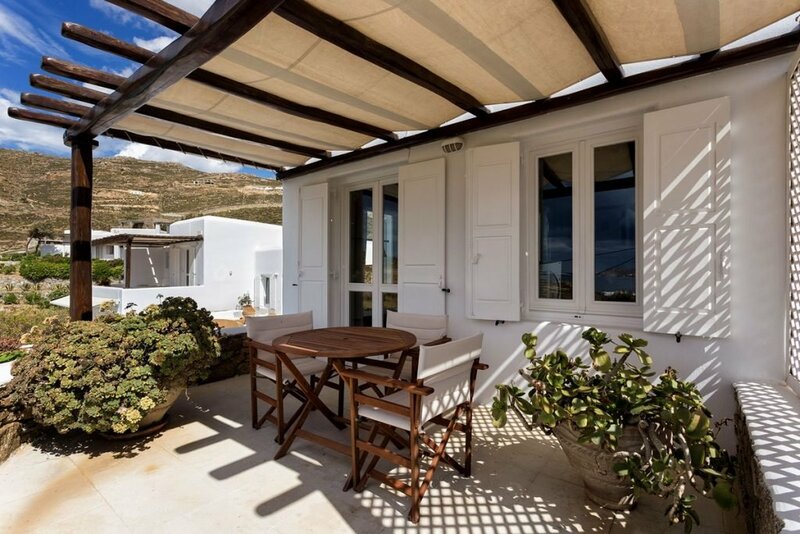 There is also an open plan sitting area with a comfortable sofa, a dining table with great view, a separate room with kitchen facilities and a great shadowed veranda with Aegean sea view to enjoy your champaign or breakfast. 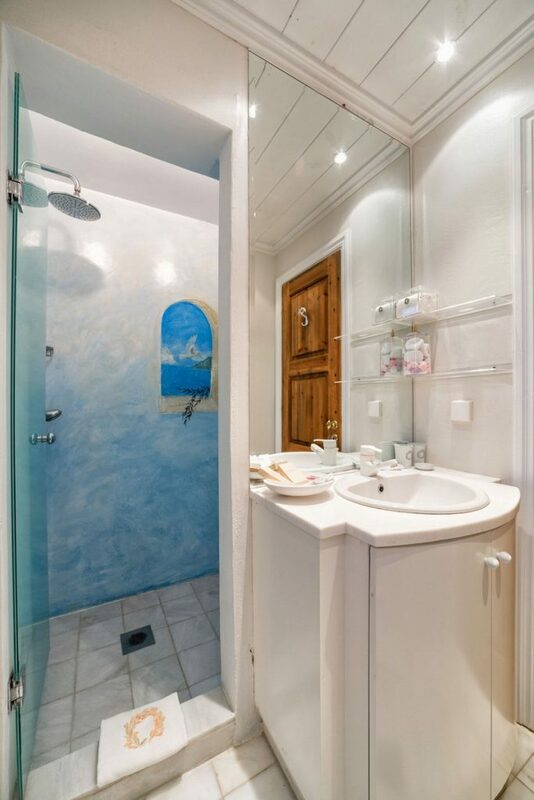 The House of the Sky consists of one bedroom with a King size bed and a marble bathroom with bathtub, an open plan living room and a dinning area with a kitchenette; a corner furnished with unique antique pieces and an authentic English card table. 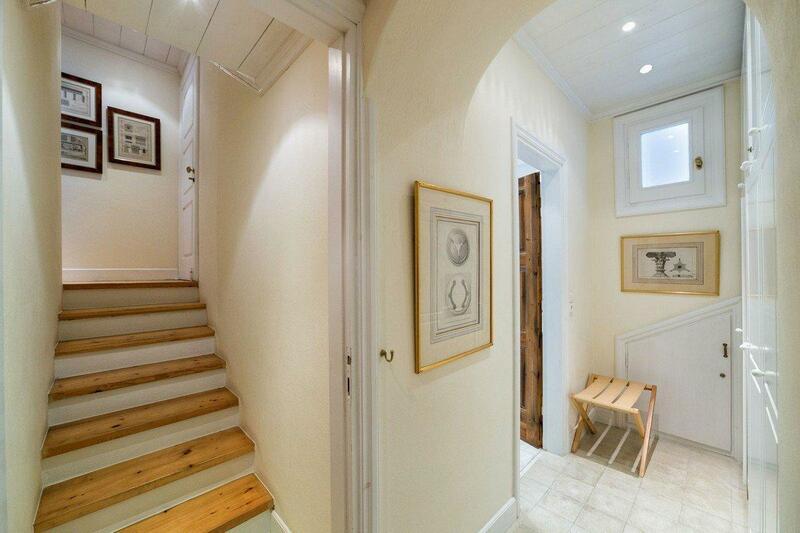 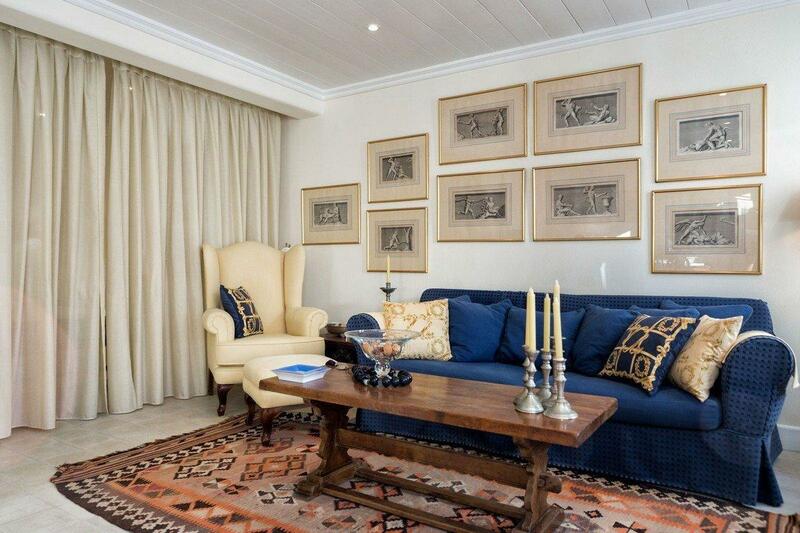 The decorated with Greek Myth gravures walls add to the classic Greek and Chic style of the Galactica. 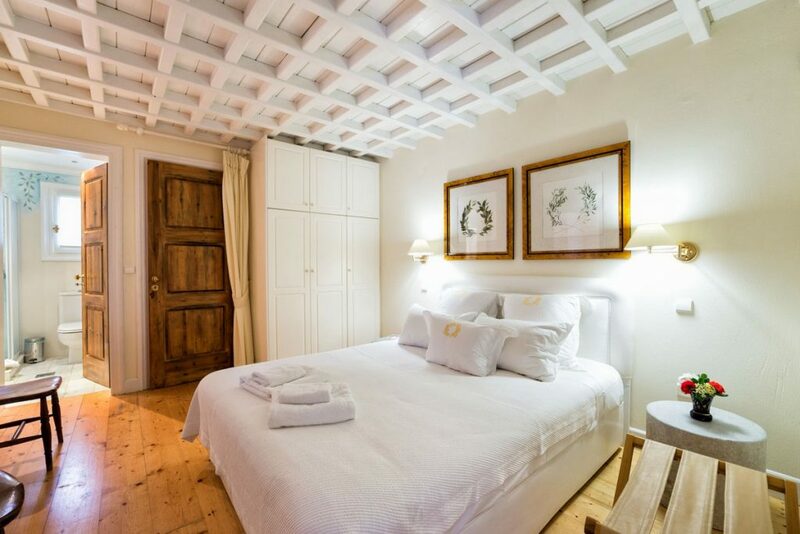 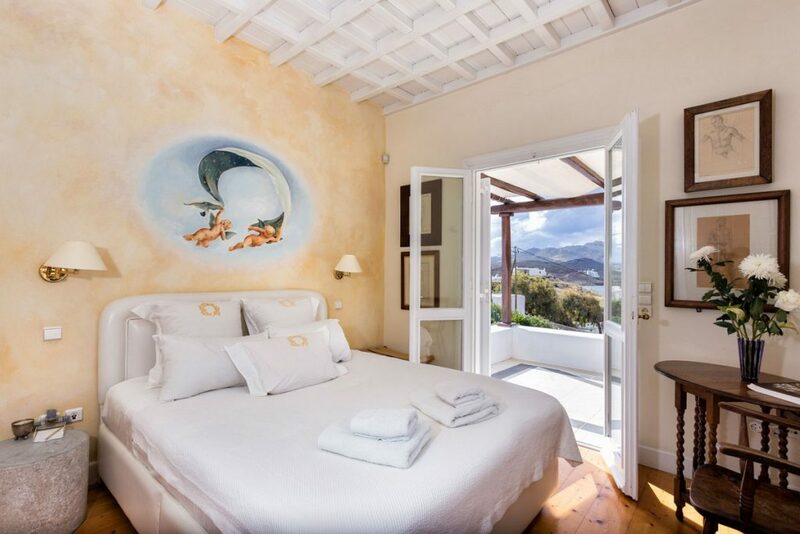 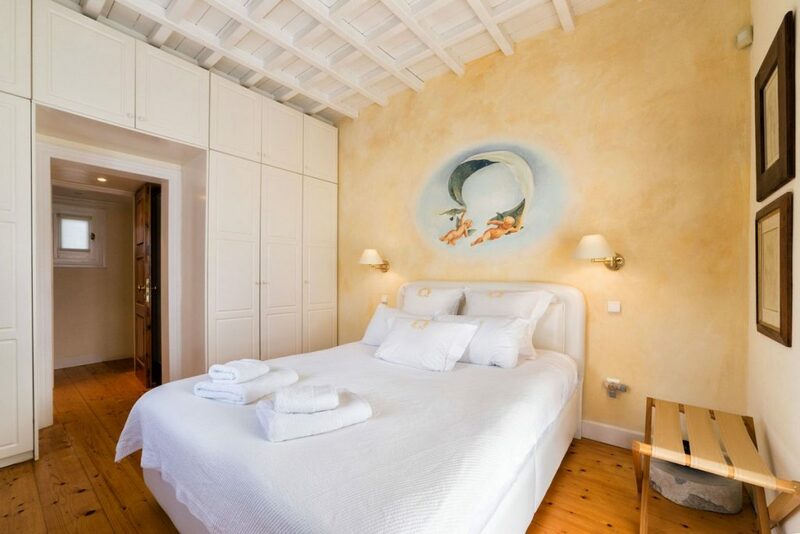 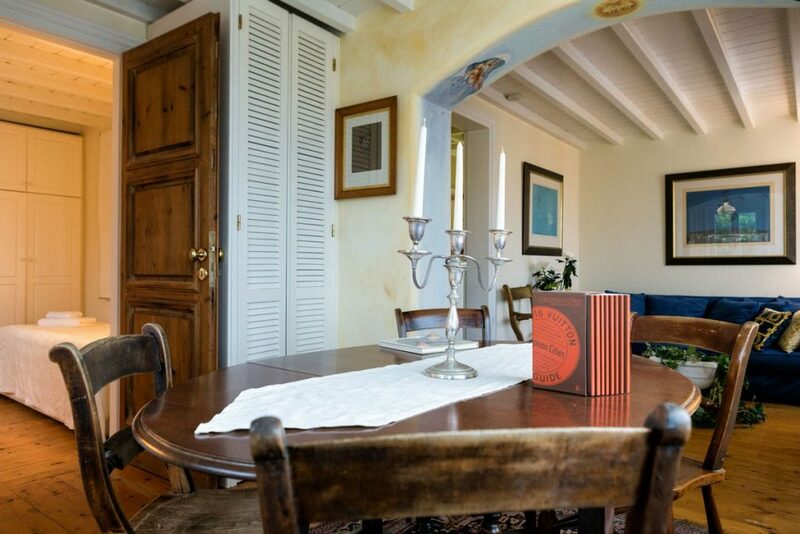 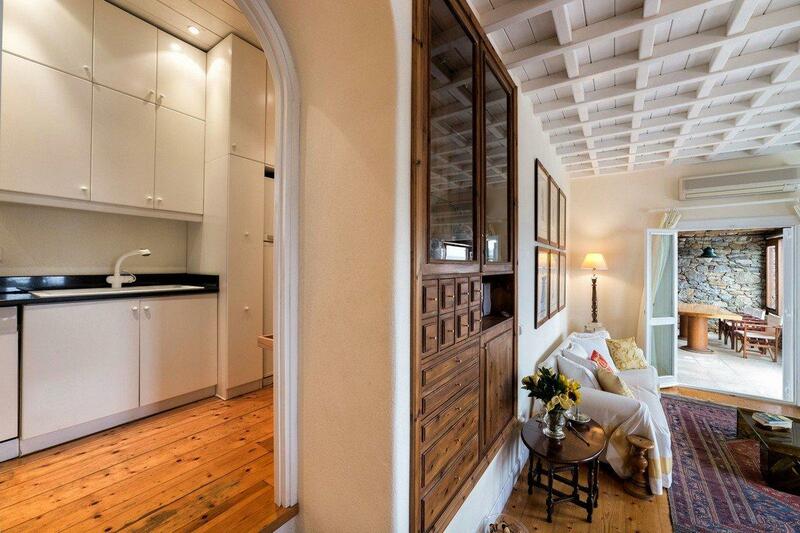 The House of the Sun consists of two separate bedrooms, one with a King size bed and en suite frescoed marble bathroom with shower, as well as an additional bedroom with two single beds. 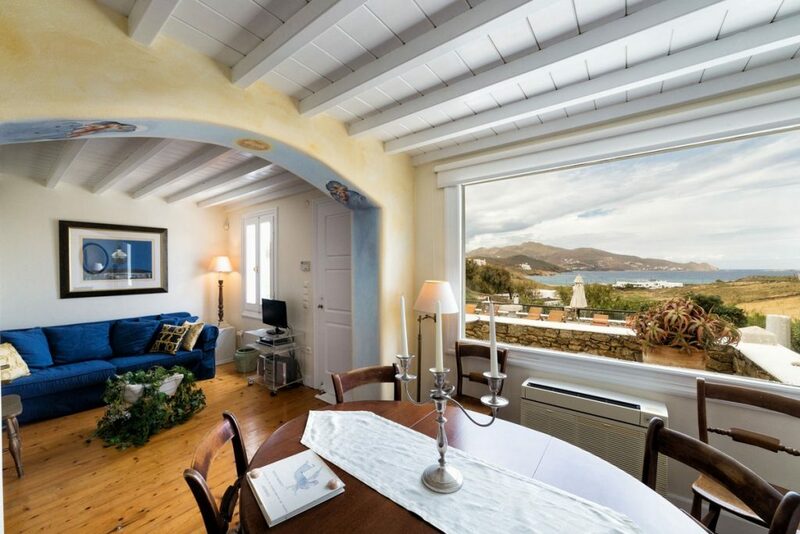 The suite offers a sitting room with a comfortable sofa, kitchenette and dining area offering a great sea view of Panormos Bay. 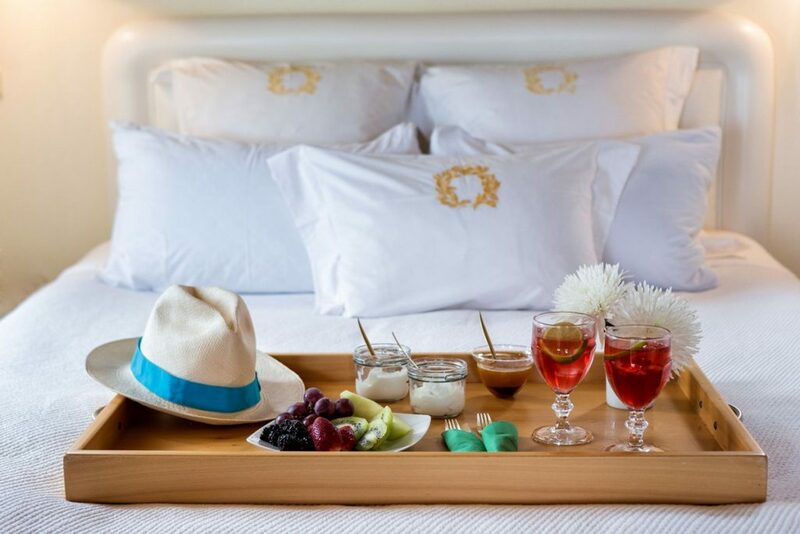 Visitors can enjoy breakfast or watch the sunset in the evening over a Vinsanto 25 years aged sweet wine, at the private shaded balcony with a great sea view. 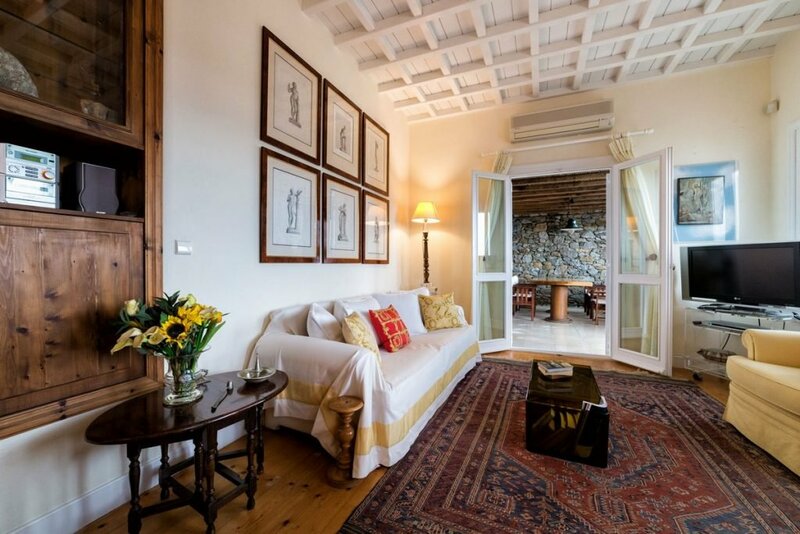 The House of the Star consists of a separate bedroom on the top level of the property, with a King size bed and a private veranda with a great view and shadowed sitting area; an en-suite marble bathroom with shower, fully equipped kitchen, a living room with a comfortable sofa, dining table and a private collection of ancient Greek artifacts. 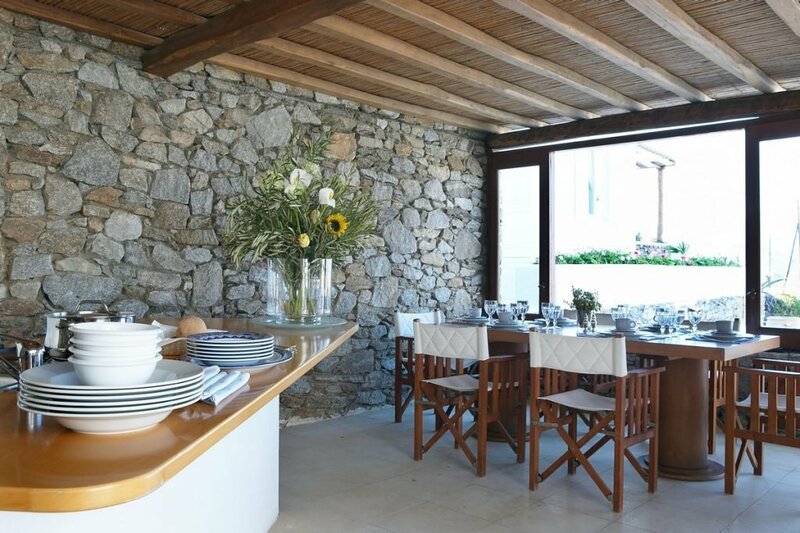 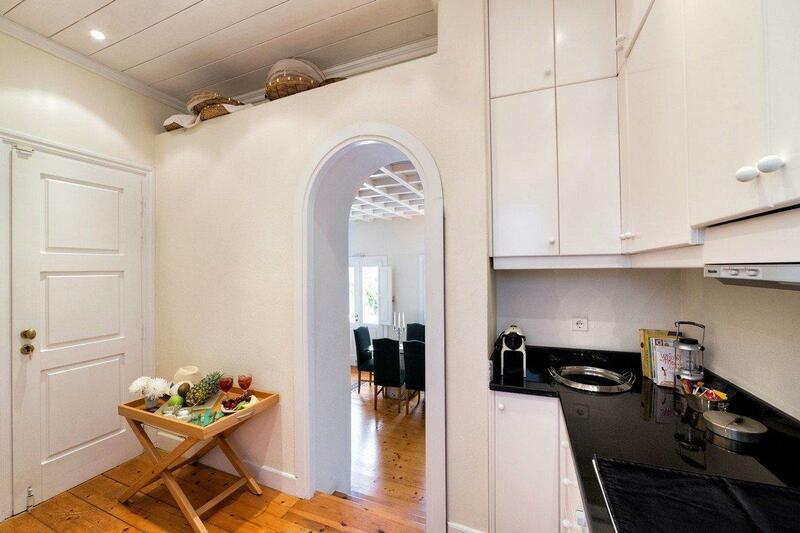 Just step outside the living room to find the outdoors dining and bar area with sea view. The House of the Star’s living room offers a spacious balcony to enjoy your meals or snacks and breathtaking sunsets. Whether visitors wish to be served organic cocktails by the Global cocktail Champion while listening to a private National Opera House Performance during sunset, or relax in privacy in an authentic Greek luxury setting, the dreamy Galactica awaits.